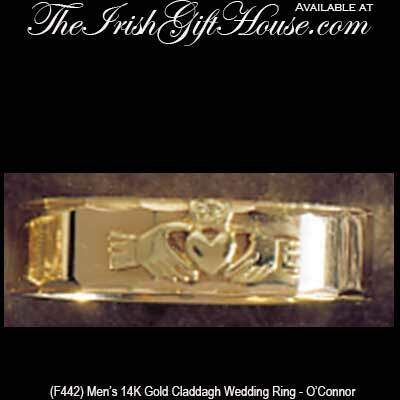 This men's 14K gold Claddagh wedding band features a polished finish along with a superimposed Claddagh symbol. This men's Claddagh wedding band features the Irish symbol superimposed on the diamond cut beveled edge band. The 6mm wide Claddagh wedding ring is enhanced with a polished finish.